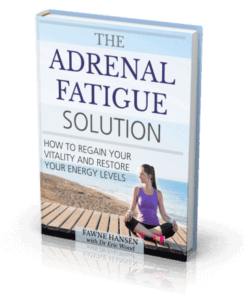 Home › Adrenal Fatigue Forum › General Questions › Touchy Adrenals? This topic contains 0 replies, has 1 voice, and was last updated by dominover 5 months, 1 week ago. I’m not sure what you call this but I’ll explain below. Is there a condition where your adrenals definitely go into overdrive, but when you get fasting cortisol tested it comes back normal. I have at times had high cortisol but the last two tests came back within range. In the morning, as soon as the light hits my face, I feel sick and can’t sleep any more. I have to get up. If I eat any carbs or have even a coffee in the morning, any stress in the morning, physical or mental, makes me sweat like crazy and I get very stressed, shackey, and bran foggy! Very shakey if I get a fright or get worried, that morning stress causes my hands to shake. This problem dissipates as the day goes on (usually after 10 or 11am, but if I’m under physical or mental during the day (excercise, hard work, or stress from work) then I get very brain foggy and feel isolated like I can’t handle or understand anything). I’ve had the latter symptoms since my late teens, including the sweating. It’s crazy and people around me really notice it. I gain weight around the waistline easily. It’s near impossible to lose. Exercise doesn’t help very much (calories considered too). I stay off sugar and caffeine and I don’t drink or smoke. My father was similar (who has not passed). He had shakey hands all the time, gained weight easily and couldn’t lose it. Very nervous, like me. As mentioned, as my cortisol and DHEA levels come back normal nowdays, I still have these symptoms. I’m doing a very strenuous job and the symptoms are playing on me like ever. I never feel full of energy but am not totally drained as those who explain their symptoms of adrenal fatigue often report. My question is this. Is there a case where my adrenal glads will only release excessive levels of adrenal hormones when I am subject to some kind of stress, but…. my stress hormones remain normal when I am not under stress. I seem to go into overdrive very easily… too easily. If it was adrenal hyperplasia then my cortisol would be high all the time wouldn’t it? Any clues as to what this could be. (i’m in my mid 40’s but have had these symptoms, getting worse, since my teens). AND… how do I fix this? Adaptogens like Ashwaganda seem to only be a bandaid and don’t address the underlying issue. – If I eat protein at night (and few starchy foods) I sleep and wake up allot better. I don’t get that sickly feeling when I wake. – I’ve tried low carb diets and intermittent fasting but I think I made things worse. – I don’t think coffee is good for me. I seem to feel rather sick if I have more than one. I’ve given it up for a year or more several times in my life with no improvement in my overdrive feeling when I’m stress. .
– The overdrive feeling I get is like working too fast but getting confused, sweating, fast heart rate, brain fog. – If I have a stressful day at work (physical or mental) I wake up with a rapid heart beat.